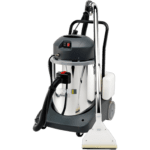 The APOLLO is the ultimate upholstery and carpet cleaning machine. This carpet cleaner has a 1 x 1200 watt suction motor and one fluid motor. Consequently, this allows you to separately control how much cleaning solution is applied and suction is needed. 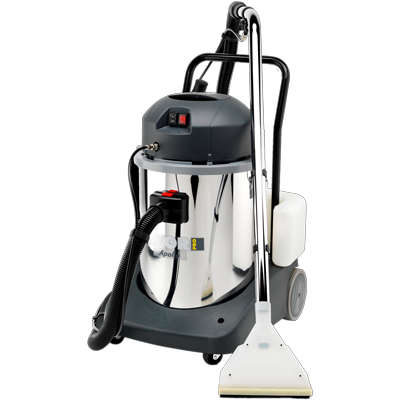 This machine is able to handle most of your carpet, tiled floor or upholstery cleaning needs. 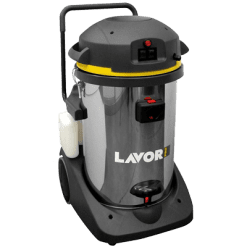 This industrial carpet cleaner has 53 litre tank capacity with tilt function for easy cleaning. With an 11 litre external tank, the machine gives you the advantage of minimal detergent refills. Finally, it also comes with a dry kit for normal dry vacuum application. In conclusion, this machine is perfect for the car detailer or house cleaner.